Congratulations on your engagement! Your BIG DAY will be here before you know it, and a variety of choices will determine what will make YOUR Wedding Day special. 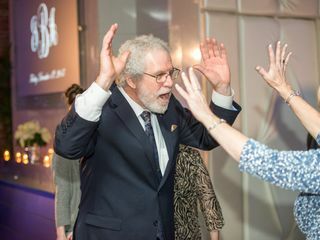 One thing is for sure...food can be stale, limo's running late, it could be pouring rain; but if the entertainment is great, and the dance floor is packed...no one will notice anything else! 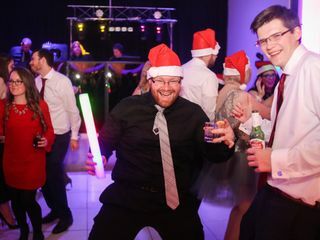 ALL of our Wedding Entertainment Packages include a two man MC/DJ combo and your personal entertainment coordinator to take the stress out of your planning, and make sure the entertainment goes off without a hitch. 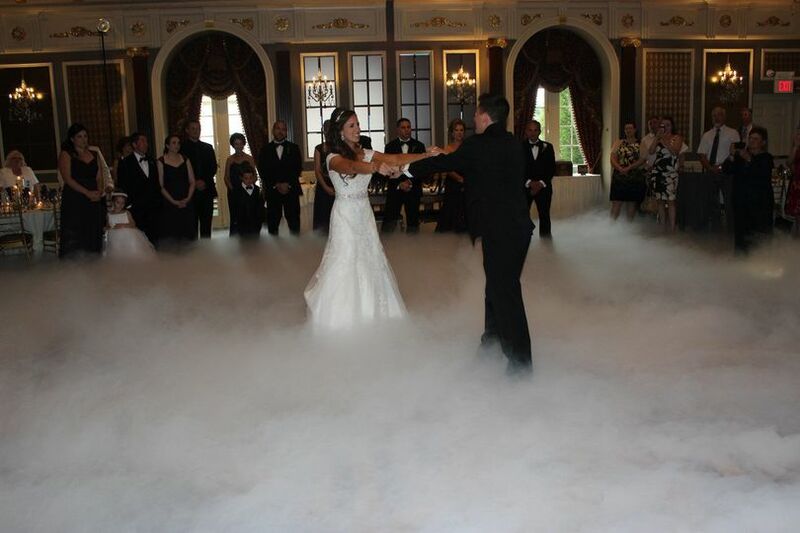 Professional Sound & Lighting Systems provide you with high quality sound, and atmosphere second to none. You meet directly with your MC to discuss music selection, introductions, toasts, and all special dances for the evening. 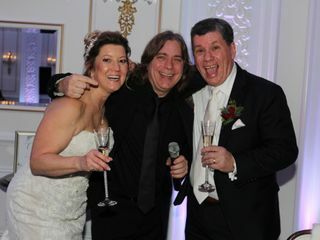 Your MC will interact with your guests, make all your announcements and keep the party moving all night! We can't help arrange the seating...but we can make sure that nobody sits! 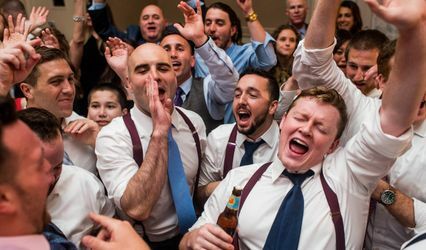 We strongly feel that your wedding day is just that...it's yours, we make the day all about the bride and groom...we are not there to "put on a show' or take any attention away from the reason why everyone is there in the first place! 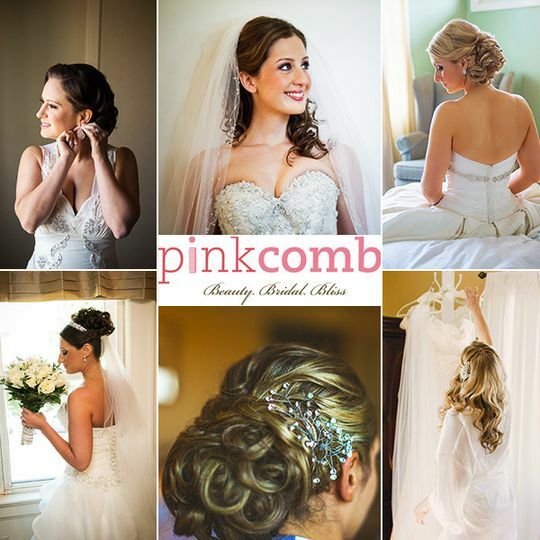 We work with our wedding clients very closely through out the planning process, making sure to go over all of your formalities and specifics in great detail, so that you will not have to worry about a thing on your Big Day! 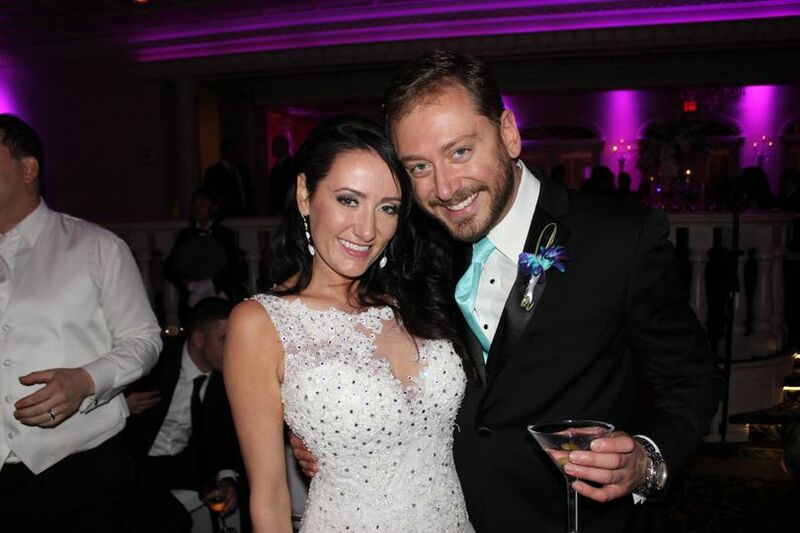 There are numerous "Wedding Extras" that can be incorporated into your special day to include Ceremony & Cocktail Music, Personalized Photo Montages with Plasma Screens, Zap Photographer, Ballroom Up-Lighting, Photo Booths, and much more! 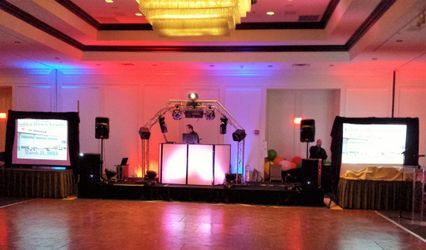 We can discuss many entertainment options specific to your needs to make your event memorable, unique, and fun for everyone there. 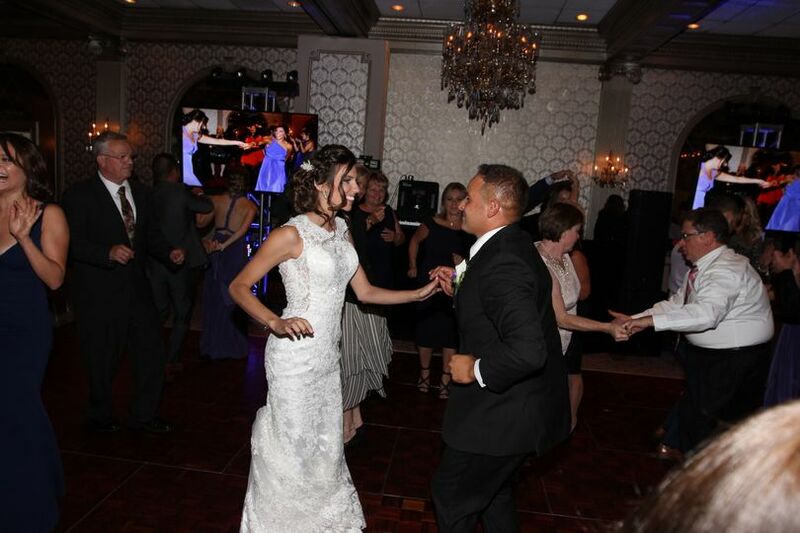 Call today to speak with one of our wedding specialists and find out why Party King Entertainment should be first on your guest list! 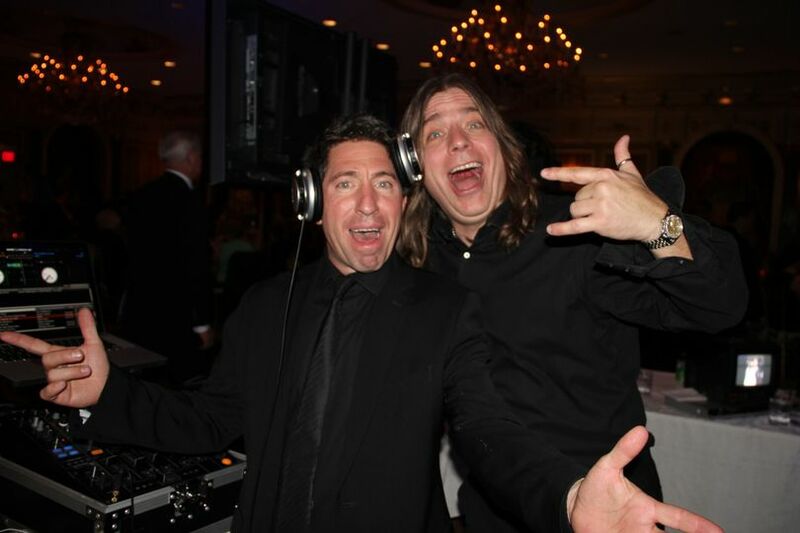 MC/DJ Combo at YOUR wedding! 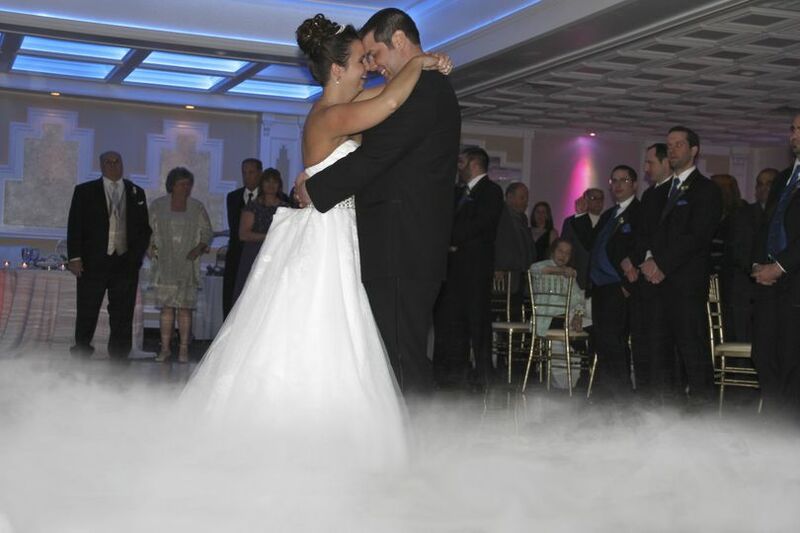 We chose Party King Entertainment to host our December 21st Wedding at Macaluso’s in Hawthorne, NJ. This Entertainment Company was simply top notch fabulous!! Ronnie is an absolute expert in his field!! 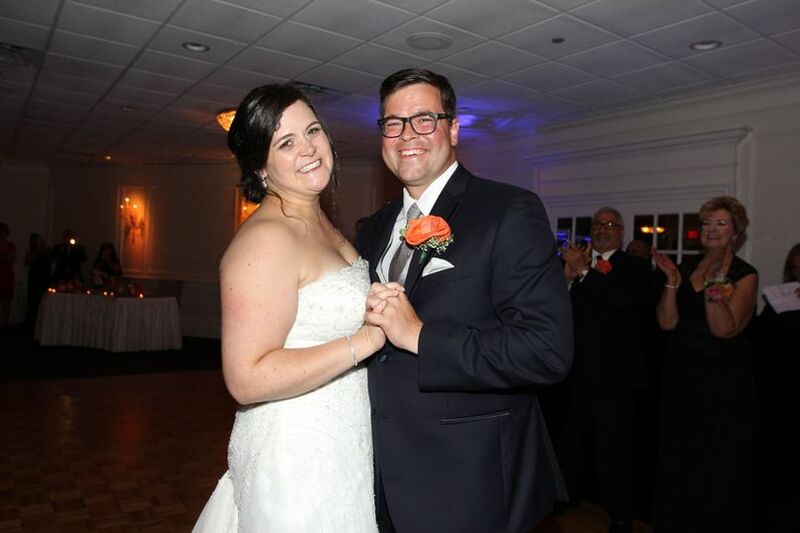 In addition, the six people who accompanied him to our special celebration were also extremely professional and thorough in completing each and every aspect of their assignment at our wedding. Every meeting we had with Ronnie prior to our event was thorough, informative, extremely professional, and relaxed (I say this because planning a wedding is stressful, however, I never felt this way with PKE). He was so helpful in helping us determine exactly what would work best for the type of evening we were planning to host. Our celebration was spot on, perfect!!!! 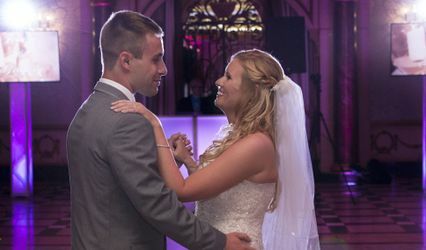 Ronnie suggested we go with the music and photography package which was just what we needed to cover every aspect of our wedding celebration and capture every moment perfectly. 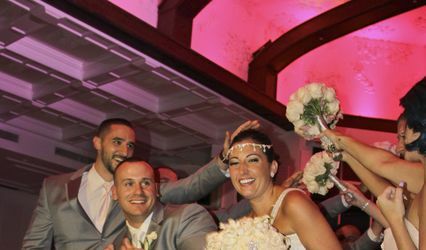 As far a wedding favors go, Ronnie suggested the photo booth with beautiful frames as an added extra for fun and to capture those special moments with friends and family celebrating not only the wedding but also the upcoming Christmas Holiday. Our guests loved this!!! They were each provided with a “Thank You” bag at the end of the evening and were able to take as many framed photos home with them as our gift to them. He also included a Video Montage where he suggested we include a photo of us with each of our guests. As dinner was served the video montage played and our guests absolutely loved seeing our special moments with each and every one of them. It was truly special!!! Ronnie and his company knew what to do at each and every moment so that Vince and I never had to think about a thing. 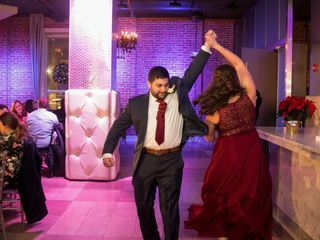 His direction and guidance throughout the evening provided the perfect flow, rhythm and ridiculous fun to make the night an absolute success! They even threw in some last minute holiday props to liven up our already crazy fun group!!! Finally and most important...the music!! 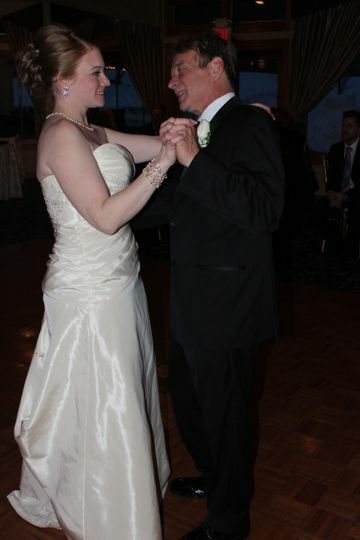 The music selections throughout the evening kept everyone dancing all night long!!! I am beyond thrilled with PKE!!! If you are looking for a professional, respectful, thorough, knowledgeable and expert company to handle your wedding, look no further!!! PKE is your answer!! 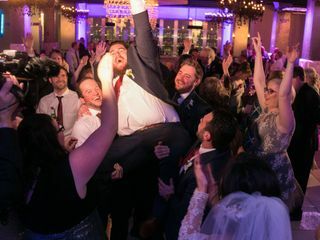 Party King went over and above any expectations I had for a perfect wedding. They helped me make decisions that I had difficulty with, along with giving me suggestions (even outside the realm of entertainment). The day of the event they were point on... literally everyone was coming to me to tell me how great they were. 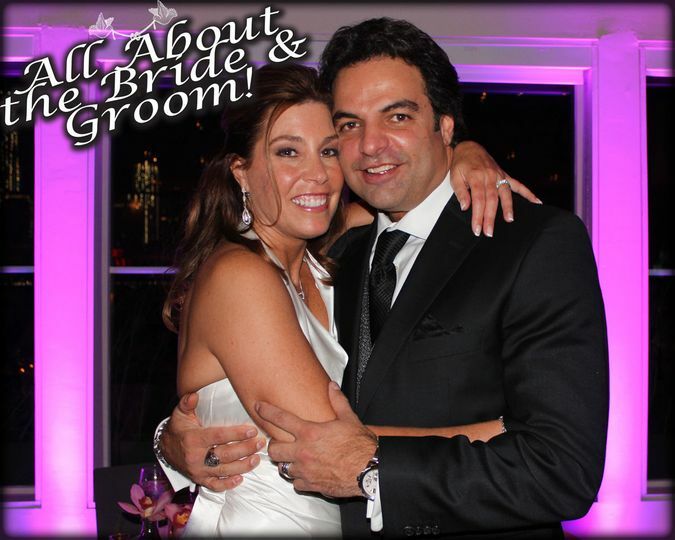 My event was personalized and ran smoothly... they were a key player in it all! I even said I wish I could get married again just to be able to use them again! 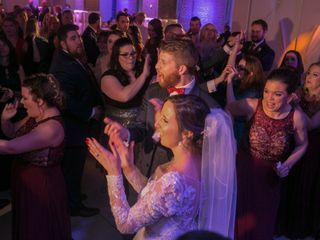 My wife and I could not have asked for a better DJ. 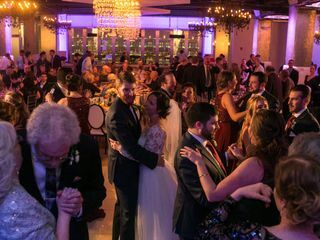 Ronnie and his team really took the time to make sure our wedding was exactly the way we wanted it. They met with us before the wedding and walked us through the process. They recommended the best options and took care of EVERYTHING. They easily accommodated for our special requests and delivered the highest level of service I could ask for. I highly reccomend them. You won’t be disappointed!!! 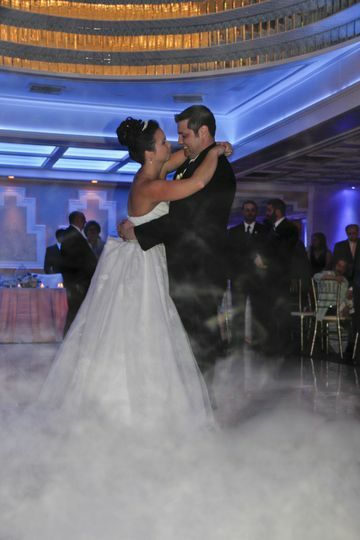 We are offering a FREE personalized photo montage or zap photos (when booking a Wedding DJ packge) to any of our wedding clients who find Party King Entertainment through Wedding Wire!